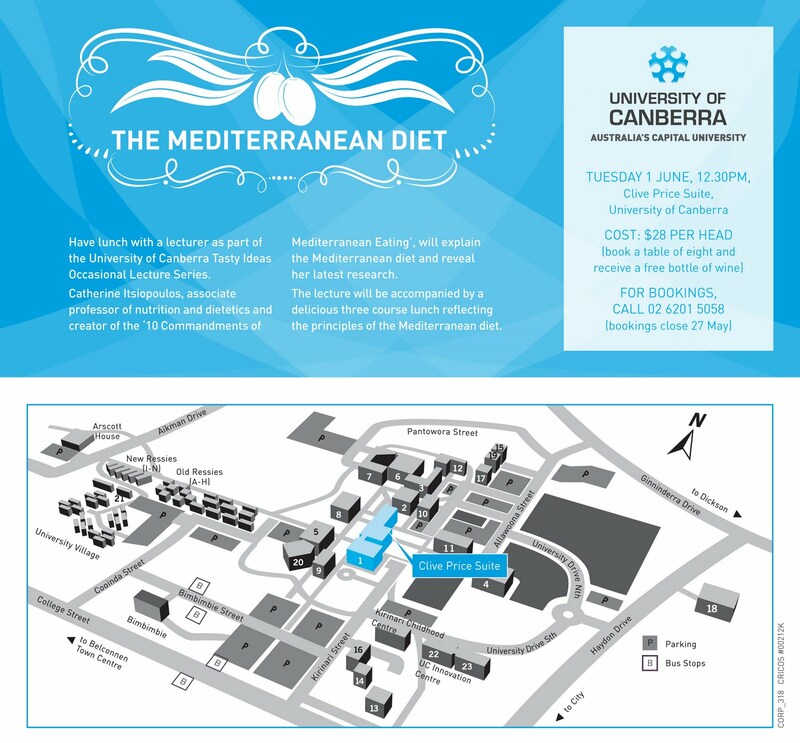 On Tuesday June 1 have lunch with a lecturer as part of the University of Canberra Tasty Ideas Occasional Lecture Series. See poster above (click on it to see a bigger version). Catherine Itsiopoulos, associate professor of nutrition and dietetics and creator of the ‘10 Commandments of Mediterranean Eating’, will explain the Mediterranean diet and reveal her latest research. The lecture will be accompanied by a delicious three course lunch reflecting the principles of the Mediterranean diet.